Most 17-year-olds sitting their exams would be more worried about how many extra sheets they need for their English paper than selling a software company and becoming a millionaire. 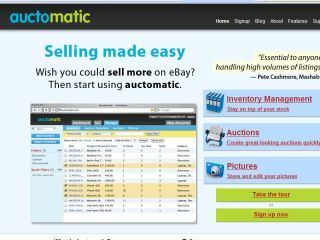 But Irish teen John Collinson and his 19-year-old brother Patrick have confirmed the sale of their Auctomatic auction tool software to Canadian firm Live Current Media. The brothers set up the company – which provides a web-based tool for managing inventory for heavy eBay users – in 2007, but were forced to go abroad to well-known Silicon Valley investment company Y Combinator to get funding. Patrik, the older of the Collinson brothers, will now work with Live Current in Vancouver, whilst John will finish his exams back in Limerick.